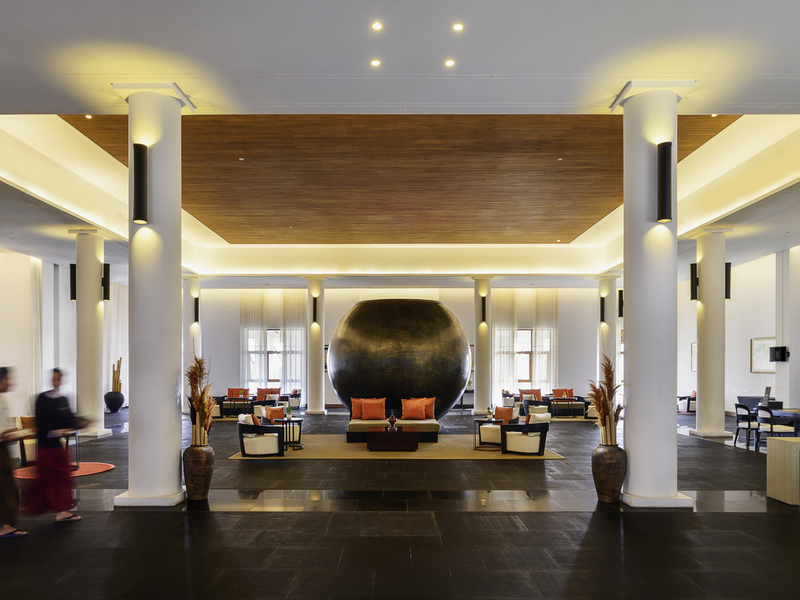 Located in the new capital city of Myanmar, The Lake Garden Nay Pyi Taw, MGallery features 165 guestrooms and private suites, an all day dining restaurant, a specialist Italian restaurant, Cigar Lounge and Wine Cellar, Sports Bar, Spa, Fitness centre, 6 meeting rooms and a function room that can host up to 300 guests. Perfect for leisure and business travellers. Located in Nay Pyi Taw, The Lake Garden features 165 guestrooms and private suites, an all-day-dining restaurant, an Italian restaurant, cigar lounge & bar, spa, fitness centre and meeting facilities. Perfect for business and leisure travellers. Nay Pyi Taw is the new capital of Myanmar, which was built in the early 21st century to serve as the administrative center of Myanmar. It is an ideal MICE destination with the Myanmar International convention centre 2km away from The Lake Garden hotel. Located in city centres or popular tourist areas, the hotels in the collection all enjoy exceptional locations, offering guests a unique trip. All day dining restaurant featuring a selection of international cuisine mixed with local Myanmar flavors in a contemporary yet traditional ambiance. Enjoy casual dining everyday of the week. Open for Breakfast, Lunch and Dinner. The specialty Italian restaurant offers the finest Western cuisine in a Burmese ambience. With its dramatic lighting and magnificent golden archway, guests are transported to ancient times. Enjoy casual dining of the week at the restaurant, which has contemporary yet traditional ambiance and a wide selection of international and local Burmese cuisine. Open daily for Breakfast, Lunch and Dinner. Open throughout the day, The Oak Room offers a wide array of spirits and some of the best wines. Together with some of the finest cigars in our cigar lounge, guests can enjoy our signature cocktails, martinis and vintage whiskeys. Very friendly staff, lovely facility. Some issues need attention: Maintenance: the walls are in urgent need of repainting... they are damaging your brand standard. Breakfast: cooks need proper training on how to cook eggs... scrambled eggs were overcooked and hard and dry. This usually applies to omelettes as well. I was offered tea/coffee at breakfast but requested a pot of boiling water to make my own tea. This did not materialise. Small details in my room needed attention: the hairdryer did not work and the batteries on my bathroom scale were flat. I stayed at the hotel as it was booked by my client, but I do look forward to staying again as it is a lovely hotel. Front office team is very friendly and provided excellent services during my stays. .Breakfast was good especially Myanmar food items as tasty. Staff there always nice but My room 538 was so far at the last corner while they gave my colleagues in the main building. That was the same reason I decided not to stay at MGallery last time because they always give more favor to my colleagues than me. I like Hilton more because they always give me nicer room as I am a gold member. 538 was so quiet at night. Key card was not working next day. Toilet had weird smell. Breakfast pastry were also better at Hilton. This is the best hotel in NayPyiTaw. Everything was excellent: Comfortable bed and pillows Ample amenities Excellent coffee pods Rooms with covered balcony Breakfast Dinner at italian restaurant was good What could be improved? Poor Bathroom design Noise from walkway if stay in normal room. (Dragging of wheeled luggge because walkway is not carpeted, and people talking) However this time i stayed in a suite so there was no noise problem. The staff at M Gallery are extremely attentive and help. They assist with all requests that I have. I have no complaints. The poorest part of the hotel is the gym. The AC isn't good, some equipment is broken and there aren't enough adaptors to the plug the machines in. Given the high quality of the rest of the hotel, the gym is definitely the weakest part. Was there for conference and it was a overall good experience. The hotel is beautifully designed, the room is elegant with high ceilings and the staff are polite, helpful and friendly. The mosquitoes of course are frustrating, especially as they limit the use of the outdoor part of the room and the terrace at the bar. A lot of noise came from the adjoining room. There was also no hot water in the basin in the bathroom and the water pressure in the shower was too low. If I was staying one or two nights none of these things would be a problem but for a long stay it gets quite annoying. Accomodation and staff all in good order. Accomodation clean and everything is working fine. Staff helpful and attentive. It has good service of every staff. The staff from this hotel are very hospitality and have good servicing to us. It is served with good food and fresh fruits. The room is also wide and relax able. The staffs were friendly and ready to help. The balcony was lovely and the rocking chair was a plus. The staff at M-Gallery make all the difference to staying in a hotel away from home. Warm, helpful and attentive. I highly recommend staying here if you are in Naypyitaw. Good room, but too expensive. Walk-in rate would have been USD 75... and I booked via Booking.com for 120USD that doesnt feel good. Two requests for printing also didnt work out ;-( Staff very friendly but were not able to solve it. Nice location. Comfortable services. Nice staffs. Good breakfast. But have a lot of mosquetoes in room. Fitness audio should have more facilities.